BRYAN EATON/Staff Photo. 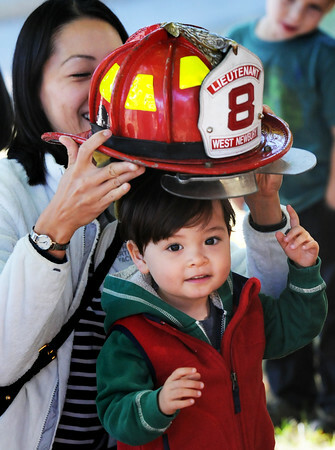 Caili Kimball puts a West Newbury firefighter helmet on her son Oliver Kimball-Nisbert, 2, of Newburyport at the G.A.R. Memorial Library in West Newbury. The children were at safety day and got to check out a police cruiser and fire engine and see different equipment.